Just last weekend, I was over at Desa Sri Hartamas with the Mrs and kid, to dine at this rather new place serving some delectable noms. 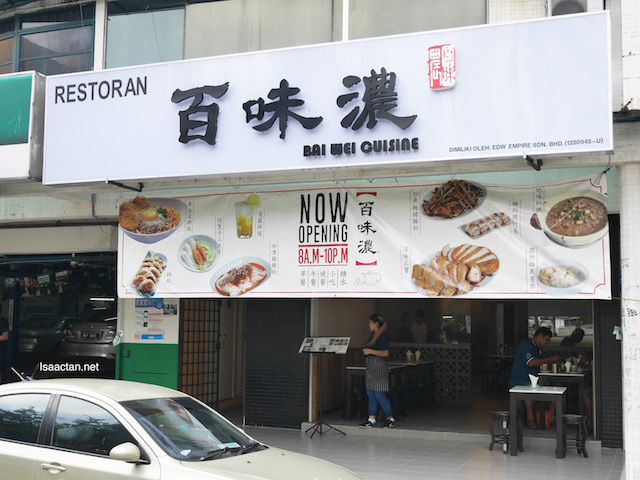 Bai Wei Cuisine @ Desa Sri Hartamas serves a wide variety of Chinese cuisine, located just beside Old Town White Coffee, so it is rather easy to locate. Per my understanding, the name comes about from the fact that Bai Wei serves different dishes from various provinces in China. Check out what we had that afternoon. The restaurant itself is located at a corner in Desa Sri Hartamas where there's ample parking during the weekend, something which I like. 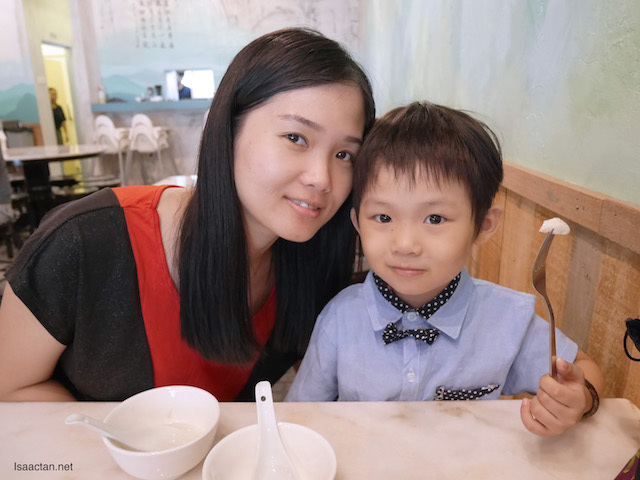 There aren't too many Chinese restaurants in the vicinity, with Old Town White Coffee just beside, Bai Wei Cuisine attracted quite a crowd from the locals. 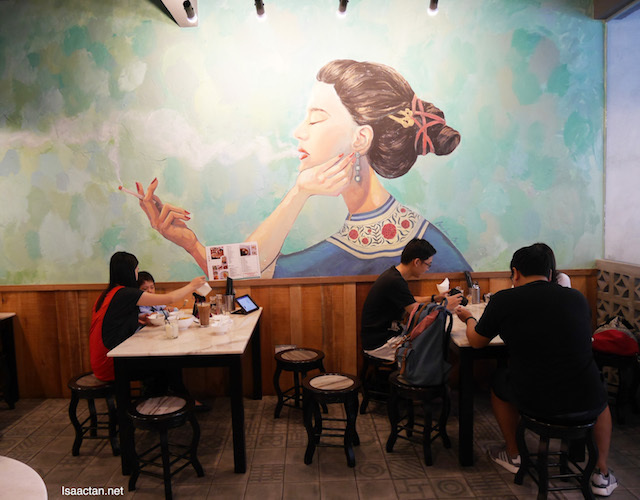 There's even this beautiful huge wall painting depicting an oriental lady. 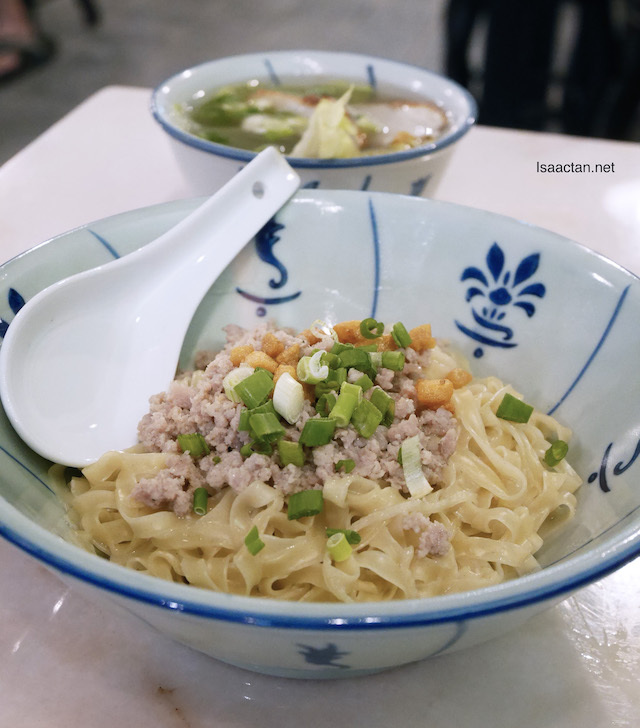 One of Bai Wei Cuisine's signature dish is their Mee Pok. It looks simple enough, but trust me when I say it's delicious! 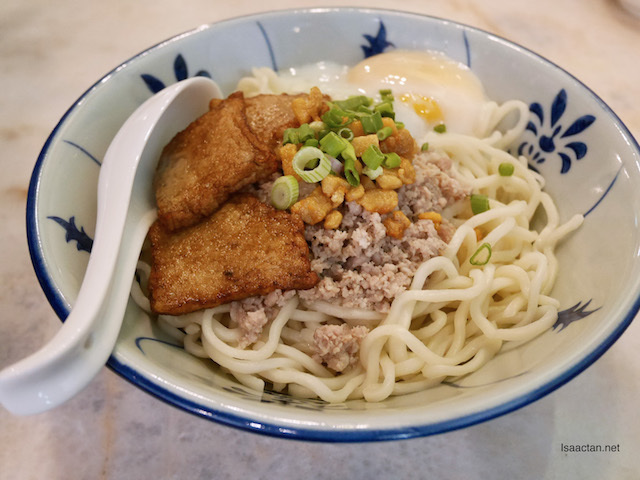 The homemade noodles are really smooth in texture, topped with minced pork and crispy pork lard, the pork lard makes all the difference. 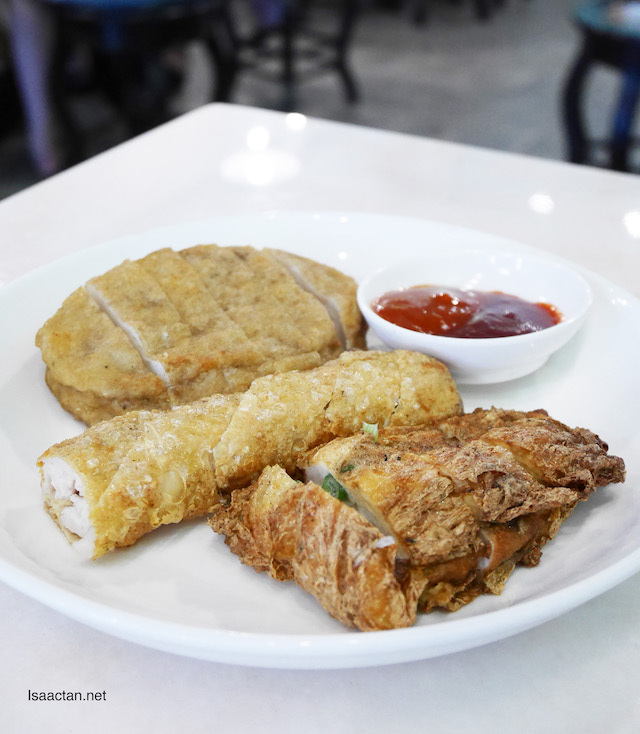 Each of their fish cakes, fish balls and noodles are made in-house, which the folks from Bai Wei are rather proud off. No preservatives, or boric acid. Nice! Celery Noodles? Why not right, it sounds healthy enough just by the name of the dish. The soup is flavourful, with home made celery noodles being the star of this dish. 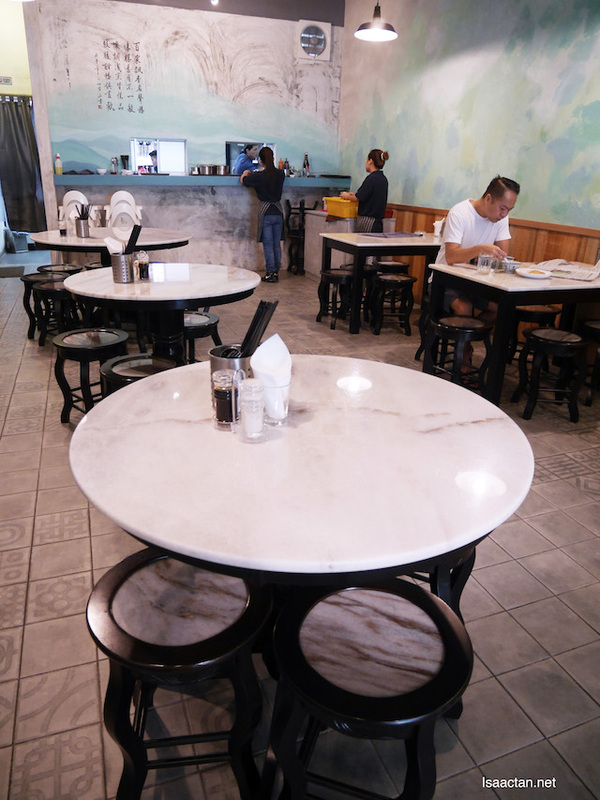 Inside, there's a whole lot of fish cake, and fish balls for your enjoyment. My favourite dish that afternoon has to be the Fried Fish Noodles and Chee Cheong Fun. 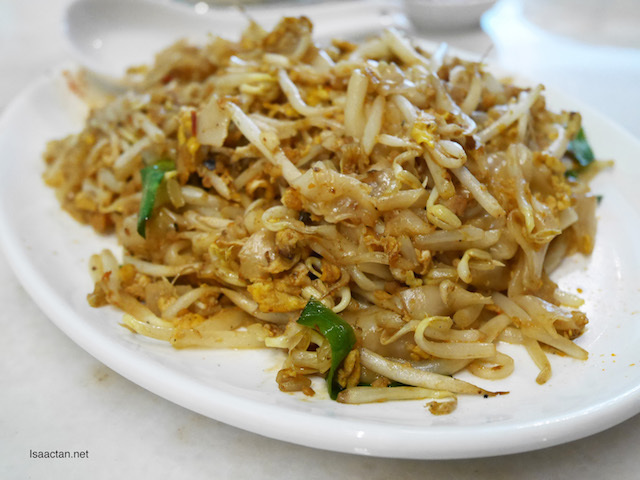 It tastes like Char Kuey Teow, but instead of using the rice noodles, they used the crunchy fish noodles and chee cheong fun instead. The results were delicious! Loved how there's even a hint of wok hei in the dish. Yummy stuff. 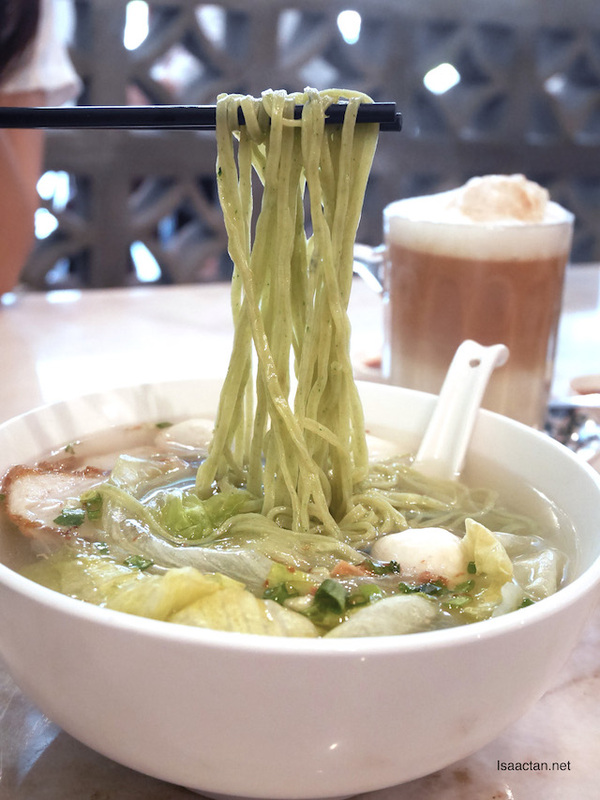 Another variation of their signature Pok Mee, we have the Golden Homeland Noodles. 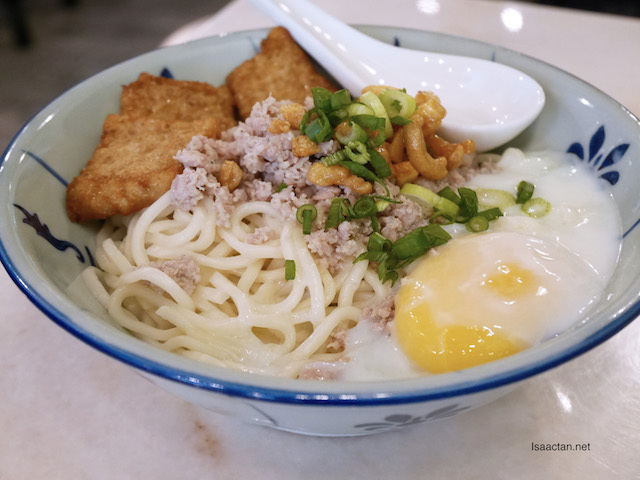 Instead of the flatter noodles, here they use these soft egg noodles, with rice cakes, eggs, minced pork and crispy pork lard thrown into the mix. 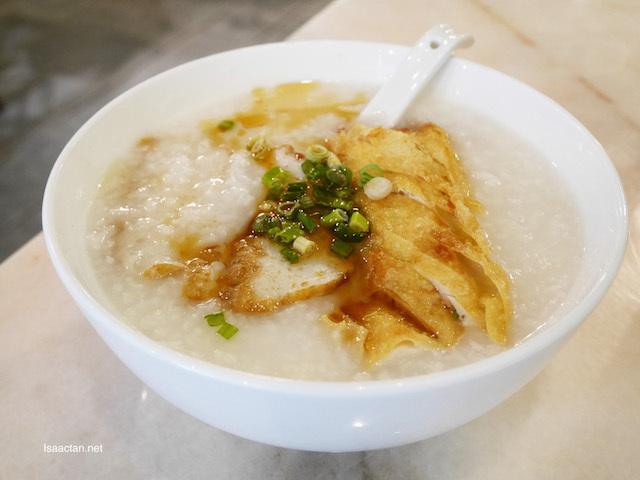 Bai Wei Cuisine not only serves yummy homemade noodles, they have rice dishes and porridge as well. I ordered their Homemade Porridge for Martin, and he loves it, especially the fish cakes inside. 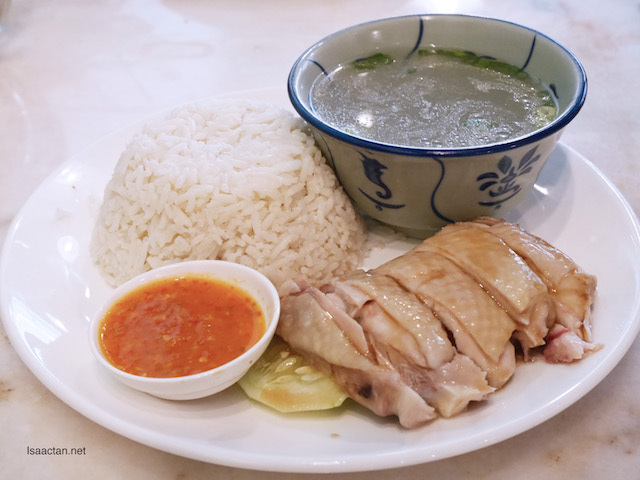 We also tried their Hainanese Chicken Rice, served with these white steamed chicken which is bound to delight. 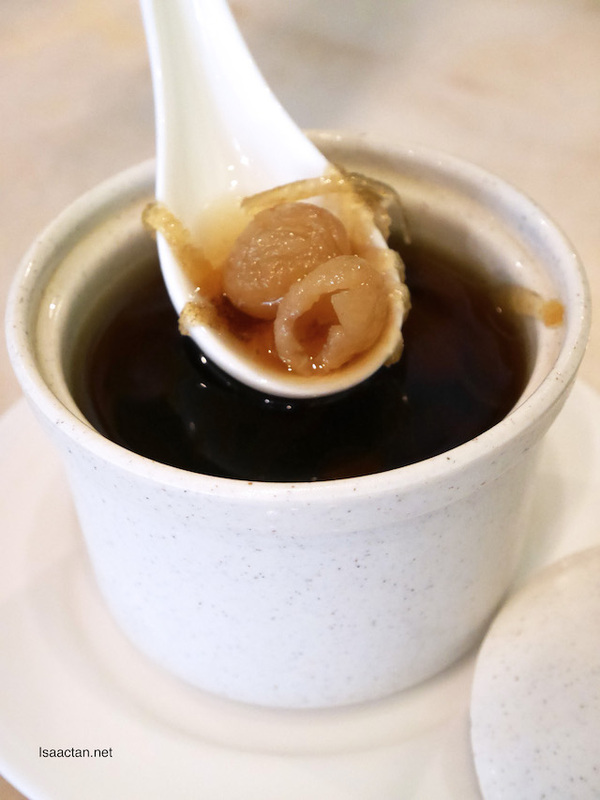 End your meal at Bai Wei Cuisine with their selection of sweet Chinese desserts. 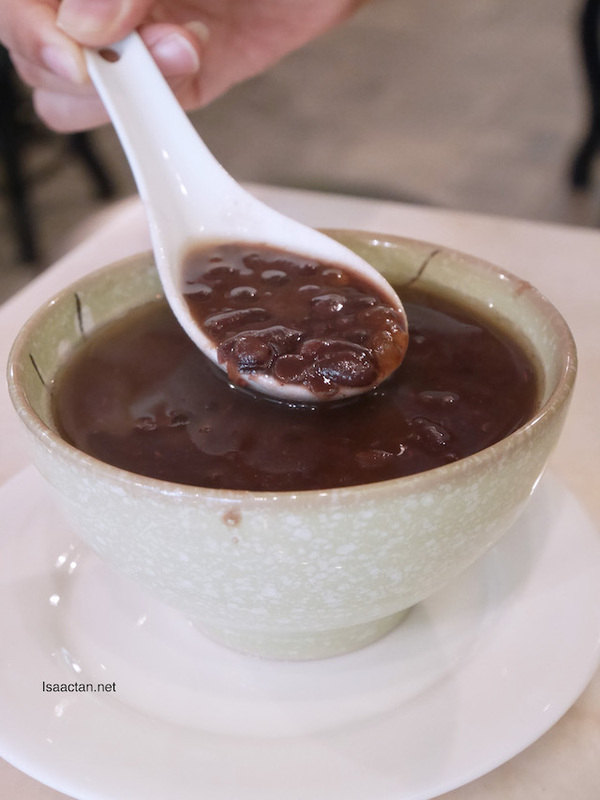 We went for their Red Bean Sago Soup (Hot) and Double Boiled WinterMelon Longan (Cold), the best of both worlds. A perfect end to a fulfilling and rather affordable meal in Desa Sri Hartamas. 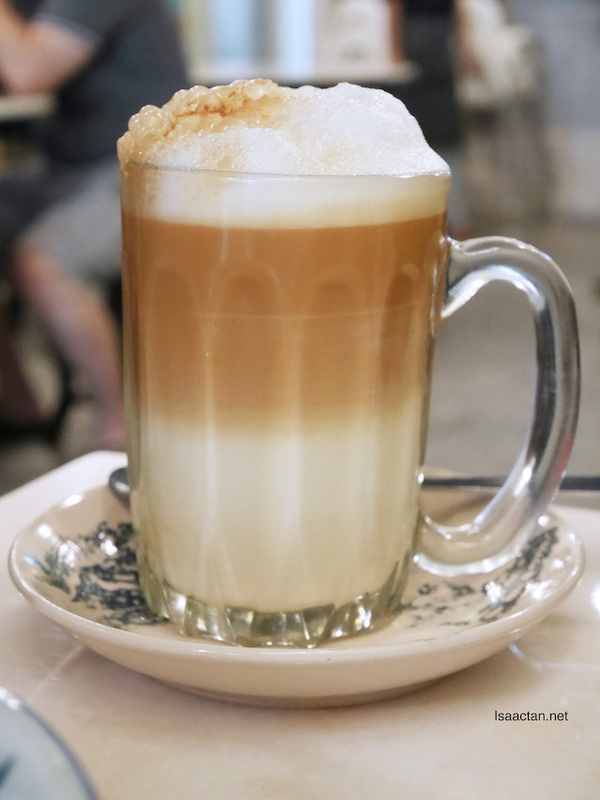 Don't leave Bai Wei Cuisine without trying out their Signature Hainan Tea, a combination of milk, tea and foam giving us one of the nicest milk tea I've had in a while. 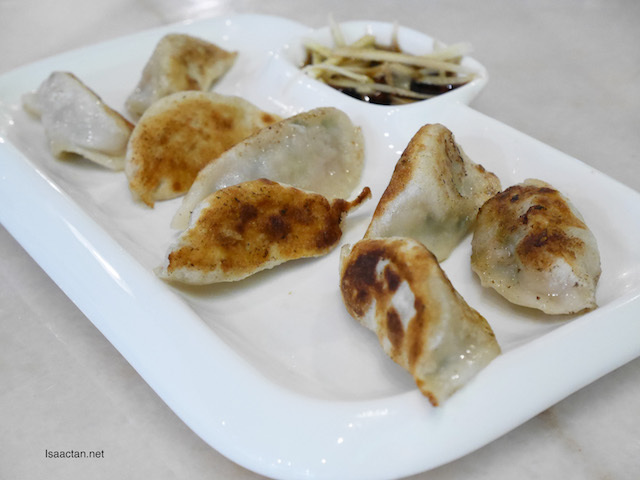 Don't forget to drop by Bai Wei Cuisine @ Desa Sri Hartamas the next time you are in the vicinity! Everything looks clinically clean, I like that, Very refreshing to look at.